Although the connection between a hard hit to the head and a concussion seems straightforward, in fact the linkage is anything but simple, according to new research. The finding, from investigators at Stanford University, was reported in Physical Review Letters. Combining data recorded from football players with computer simulations of the brain, a team working with David Camarillo, an assistant professor of bioengineering, found that concussions and other mild traumatic brain injuries seem to arise when an area deep inside the brain shakes more rapidly and intensely than surrounding areas. But they also found that the mechanical complexity of the brain means there is no straightforward relationship between different bumps, spins and blows to the head and the likelihood of injury. “Concussion is a silent epidemic that is affecting millions of people,” said Mehmet Kurt, a former postdoctoral fellow in Camarillo’s lab. Kurt and Kaveh Laksari, also a former postdoctoral fellow with Camarillo, are co-lead authors on the paper. Yet exactly how concussions come about remains something of a mystery. “What we were trying to do is understand the biomechanics of the brain during an impact,” Kurt said. Armed with that understanding, he explained, concussions could be better diagnosee, treated and hopefully prevented. In more serious cases, the brain’s motion is more complex. 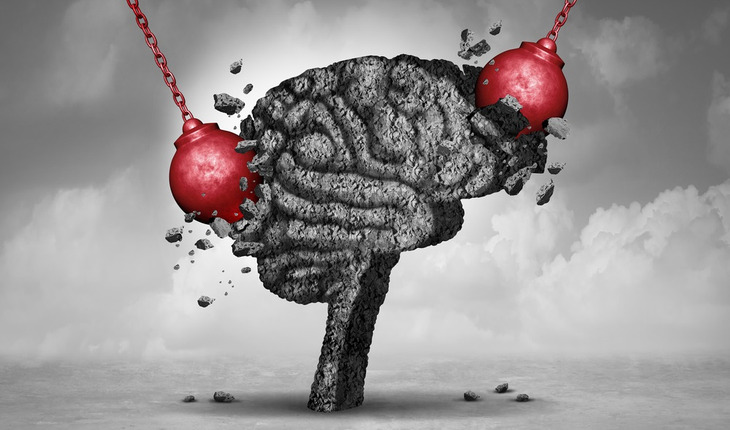 Instead of the brain moving largely in unison, an area deep in the brain called the corpus callosum ­- which connects the left and right halves of the brain – shakes more rapidly than the surrounding areas, placing significant strain on those tissues.